Annual PDGA elections take place each year from July 1 to July 31 with the elected candidates assuming office as of September 1. The PDGA Elections are held on-line, with members casting their ballots at an independent election service website. Over the last several years, participation in the online voting process has grown to record levels, as more and more current PDGA members have taken advantage of the quick and easy voting application. 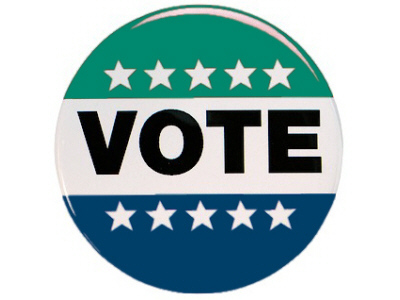 During the first week of the elections all current members as of June 30th for whom the PDGA has an email address on file will receive an email from the election service with their PDGA online election instructions including their individual ballot. All members whose email bounces back or who do not have an email address on file, will be mailed a postcard with their on-line ballot instructions. On or about July 20, all members with valid emails who have not yet voted will be sent an e-mail voting reminder. Those members who do not have any access to a computer or internet capability will also be able to contact the PDGA office and request a mailed paper ballot. Provided this request is received by the PDGA no later than July 20th, a ballot will be mailed to the member. A Board of Directors is a requirement for non-profit status and is mandated by the PDGA bylaws. In addition to semi-annual summit meetings, the Board and staff conduct monthly teleconference calls and ongoing communication to accomplish required business. Some of the Board’s main activities include: setting PDGA policies; hiring and supervision of an Executive Director responsible for headquarters, staff, and ongoing operations; financial management including annual budget; identification of responsible future Board members; and representing the membership’s visions for the future of the sport and the association. Professional experience involving management, marketing, financial, strategic planning, entrepreneurship, and/or experience in the non-profit sector. Communication skills in representing the PDGA, and in corresponding with members, including access to e-mail. Three board positions are up for election in 2018, with the top two vote-getters winning 3-year terms from September 1, 2018 to August 31, 2021. A feature of the Board of Directors campaign is the option for candidates to personalize their campaign by providing a video message to voters. This innovation is an attempt to provide voters with an opportunity to be better informed about each of the candidates, especially those who they may not have met in person. Videos are to be produced by the candidates and posted on YouTube. The link information should be included in the candidate biography. The suggested format is 3-5 minutes in which the candidate introduces him or herself and outlines one or more primary goals of his or her participation on the Board. The content of the videos should be PG rated, keeping in mind that we have voting members of all ages. Provision of the video is, of course, optional. If you are interested in running for a position on the PDGA Board of Directors, download and complete a Candidate Biography Questionnaire. This form may also be requested by contacting the PDGA office at (706) 261-6342. The completed form must be returned to the office along with a candidate statement no later than June 8, 2018 for Board Candidates. Represent the PDGA in a positive light and professional manner to members, clubs, agencies, and communities in their state or province. Work with tournament directors and clubs within their state or province and in adjoining areas to schedule PDGA tour and other disc golf events. Serve as state/provincial liaison to the PDGA Tour Manager, in coordinating the tour schedule and in addressing and resolving tour event issues. Collect information, either personally or by delegating to individuals or clubs, for the PDGA Course Directory and the Course Evaluation system. Promote PDGA memberships, and PDGA programs such as the Affiliate Clubs program, tournament sanctioning, Disc Golf Foundation, and EDGE to the members and potential members in their state or province. Provide feedback on the annual Tour Standards to the PDGA Tour Manager. Coordinate state qualification for events such as the USDGC, USADGC, and other qualified-entry tournaments. Vote for and recommend candidates for select annual PDGA Awards. Other duties as determined by the SC’s, the PDGA Board and staff. Provide local and regional demographic information and feedback to various sports agencies statewide (CVBs, Sports Councils, etc.) upon request. Here is the list of the state coordinator positions up for election this year. Terms for these positions will be September 1, 2018 - August 31, 2020, unless otherwise noted. If your state or province is not listed above, the position is not up for election this year but will be next year. Please join us in extending thanks and appreciation to all the incumbents for their voluntary service to the PDGA and disc golf. Many of these key contributors will be seeking re-election, many others will be seeking election for the first time. If you are interested in running for the Coordinator position in your home state or province, download a Candidate Biography Questionnaire. This form may also be requested by contacting the PDGA office or calling (706) 261-6342. The completed form must be returned to the office along with a candidate statement no later than June 22, 2018. When you receive your ballot in July, please take a few minutes of your time to complete and submit your ballot. In doing so not only are you fulfilling one of your basic rights and responsibilities as a PDGA member, but you are also demonstrating that the work performed by these our core volunteers is important and worthwhile, both for you personally and for the PDGA and disc golf as a whole. Thanks very much for participating in the Annual PDGA Elections!